I read Shaman’s Crossing, the first book in Robin Hobb’s Soldier Son trilogy, with great anticipation. A fantasy series? With only three reasonably-sized books? That isn’t Wheel of Time or Sword of Truth? And written by a woman? SOLD! Which is why I was disappointed when I didn’t love it as much as I’d hoped. I actually had to put it down for a few months and come back to it to make it all the way through. And while it did recover — substantially — in the second half, it wasn’t enough for me to put it on any top-ten lists. Imagine my surprise, then, when the sequel, Forest Mage (dat title! 😉 hit all of my buttons. Powerful, emotional, affecting, and most of all, personal. Forest Mage‘s major theme is one that was only hinted at in the previous book: fatphobia. A strange and somewhat modern idea for a fantasy novel to play with, but Hobb makes fantastic use of it. Nevare, a soldier-in-training just finishing up his first year at the academy, notices he’s put on some weight, but doesn’t think too much of it until he arrives home and finds his family, friends and fiance disgusted at his new figure. His apoplectic father forces him to diet and labor, and when Nevare fails to lose weight, he’s locked his room and nearly starved to death. And still, he fails to shed any of the excess pounds. Turns out, the weight is a magical curse. Or perhaps a blessing — the reason Nevare is now so bulky is that he’s filled with a foreign magic that he can’t control. Listen, I’ve struggled with my weight pretty much since puberty, and I don’t think I’ve read anything that addresses the issue as truthfully and relatably as Hobb manages to. Making the weight-gain out of Nevare’s control is a stroke of genius. I can’t tell you how many times I’ve felt like my weight is some magical, mystical force that I’m doomed to endure no matter how hard I try. In my case, it’s not true — but Hobb does a fantastic job capturing that desperation in Nevare’s thoughts and actions. Even better, she sticks Nevare between two worlds in regards to his body — another familiar place for me. It seems like, for me, there are two options: either be disgusted with my body and dedicate myself to changing it, or be completely content with it and have no desire to be thin. It’s like there’s no middle ground. If I accept my body, then I have to be willing to live with it. If I try to change it, then I have to put up with hating what I look like. Nevare’s in a subtly similar situation. His people view him as lazy, disgusting and immoral, and he desperately desires to change himself to please them. On the other hand, the forest people — those who cursed him — see his size as a source of immense strength, and though that imbues Nevare with a certain satisfaction, he can’t give himself completely over to it. He can’t accept himself one way or another. 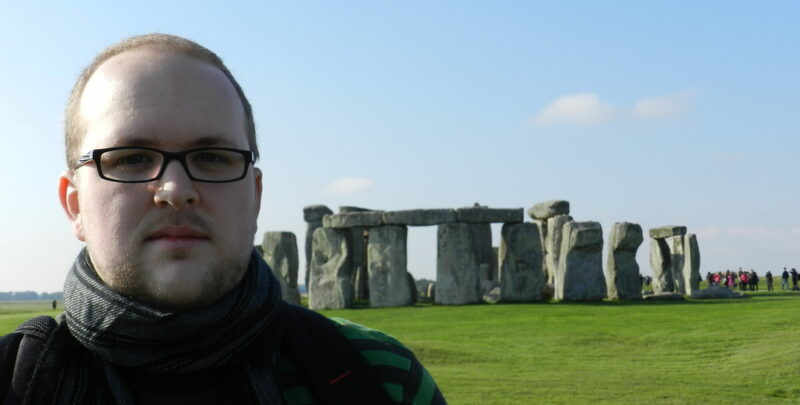 As he says painfully near the end of the novel, though the cultures have different reactions to his body, neither can see him for who he really is, inside the layers of fat. I could go on for pages talking about the book, but suffice it to say that affected me greatly. If you’ve never had weight issues (which I doubt to some degree, as it’s hard not to be too fat or too skinny for our culture), you may not have the same reaction — thankfully, the story underneath the themes is captivating as well. 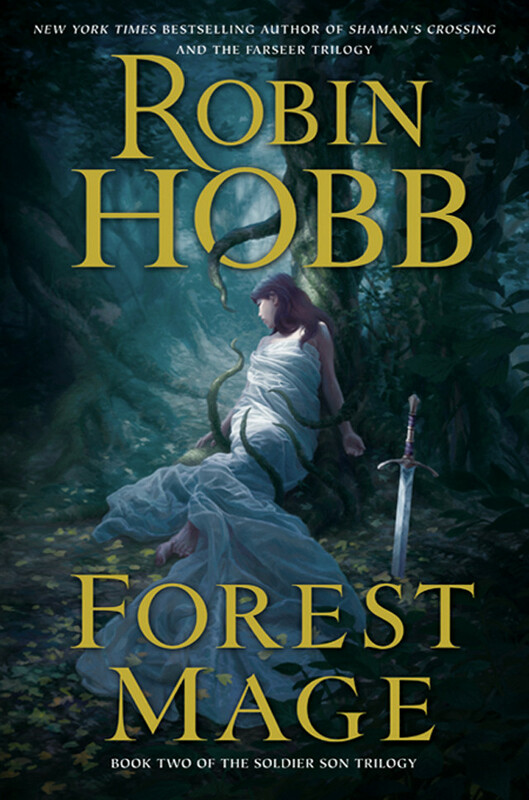 If, like me, you haven’t read any of Robin Hobb’s work, the Soldier Son trilogy is a great place to start. And while I can’t outright recommend skipping the first book (as I said, the last half of it is great, even if the first half is slow), you probably could do that and be okay, if you really wanted to. The second book, while following directly from the first, is somewhat standalone in plot. In any case, I can’t wait to read the conclusion; it’s got some high expectations to fufill. Next PostNext Back from FenCon!